Harmony Gold (NYSE:HMY) suspended all its operations in South Africa effective from the nightshift on Thursday, after two more fatalities were reported at the North West-based Kusasalethu and the Free State-based Joel mines yesterday, bringing to 10 the total number of deaths at its operations this week. “The past two days have been tragic for Harmony, having lost our colleagues at three of our operations in three separate events. This is unacceptable,” CEO Graham Briggs said in a statement. 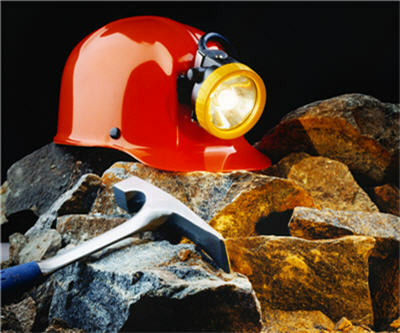 No blasting activities would take place for the next 24 hours as the company undertakes safety shifts at all its mines. “During these safety shifts, general managers will lead their senior teams underground, re-enforcing safety messages and procedures, particularly in respect of critical safety areas. Unions will play an important role throughout this process in facilitating engagement and supporting leadership,” he added. The accidents at Harmony this week are among the worst since a fire at a Gold Fields (NYSE:GFI) mine in 2012, which killed five people.